With just a quick glance you can recognize the Wrangler immediately. This SUV has earned a reputation for not only the iconic styling, but the world-renown off-roading capabilities. In the 2018 model year the Wrangler was redesigned, and in the 2019 model year, the Wrangler continues pushing the limits of off-roading and on-the-road possibilities. 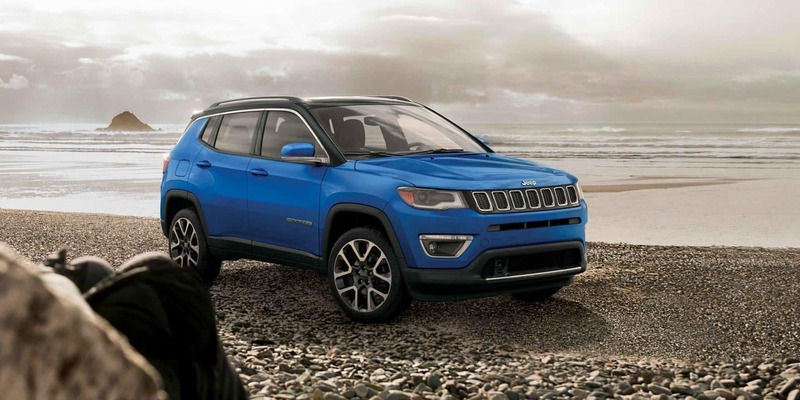 There is nothing that this Jeep cannot do, and with each passing year, more and more people are taking note of the SUV that truly is a utility vehicle. 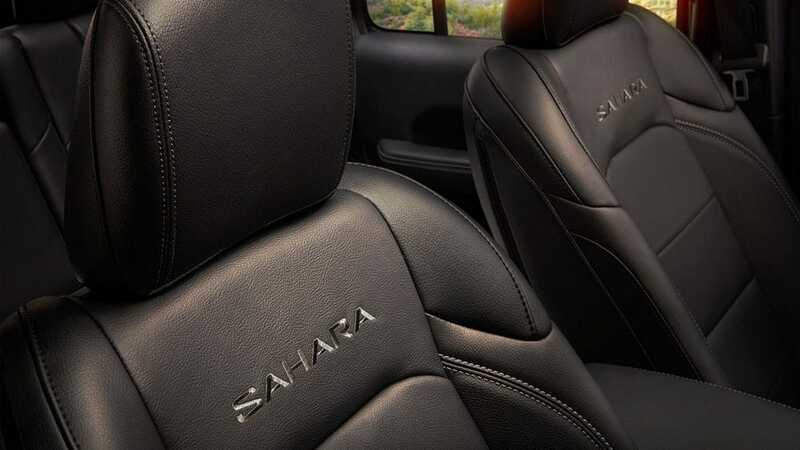 Need an SUV that offers the latest in infotainment and comfort? Get the 2019 Wrangler. 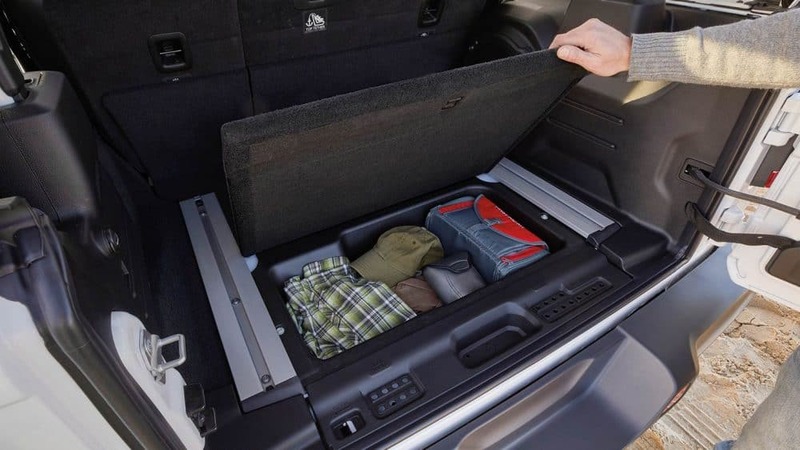 Need the perfect weekender vehicle? Try the Wrangler. Need something that can do it all, and have enough room for friends to come along? Get the 2019 Wrangler in the Unlimited configuration. 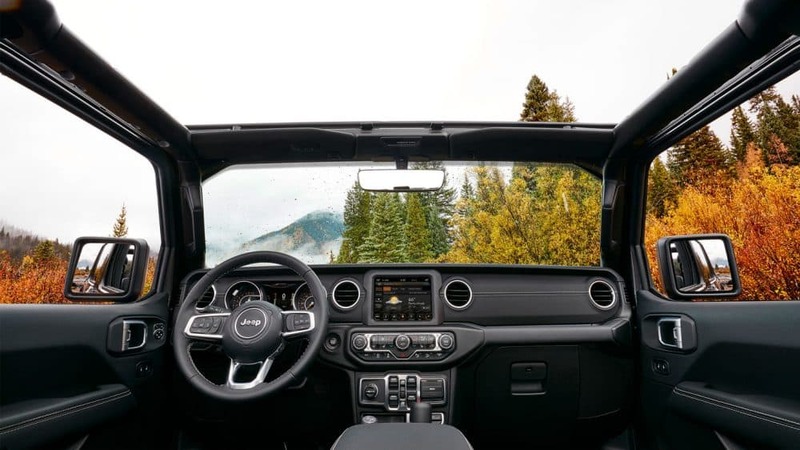 Keep reading to learn the latest about the 2019 Jeep Wrangler, and all of the different ways that you can make the Wrangler your own. In order to push the Wrangler to the best of its abilities, two engines are available to choose from! The first engine is a 2.0-liter turbocharged 4-cylinder, which can pump out around 295 lb-ft of torque and 268 horsepower. This engine comes standard with an eight-speed automatic transmission, and is available on every trim. The other engine is the reliable Pentastar 3.6-liter V6, which comes with either a six-speed manual or an eight-speed automatic transmission. This engine can produce up to 260 lb-ft of torque and 285 horsepower. While you're worrying about where you're going to go on your next adventure, Jeep is making sure to focus on your safety. 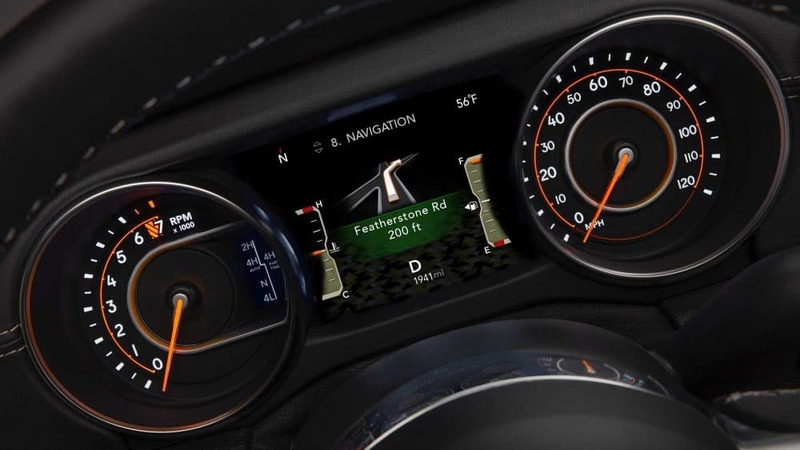 Jeep is even offering an Advanced Safety Group, which includes features like adaptive cruise control for those who opt for the automatic transmission, full-speed forward collision warning with active braking, and if you get the manual transmission, enhanced adaptive cruise control. You'll also find features like a ParkView rear back-up camera, a ParkSense rear park assist system, blind-spot monitoring, trailer sway control, and an advanced front and side airbag system. Like previous iterations, the 2019 Wrangler can be found in two body styles: two-door or four-door. The four-door model is otherwise known as the Unlimited. Along with the available body styles, there are up to five trim levels offered. Both styles come with the option of Sport, Sport S, and Rubicon trims. The Unlimited adds Sahara and Moab to its lineup. Standard features, coming with the Sport trim, include skid plates, cloth upholstery, 17-inch steel wheels, a tilt-and-telescoping steering wheel, cruise control, an auxiliary audio jack, a 1-piece folding rear seat, a fold-down windshield, an 8-speaker sound system with a USB port, tow hooks, fog lights, a rearview camera, a five-inch Uconnect touchscreen, air conditioning, and a driver information display. Another trim, the Sport S, adds features like automatic headlights, sun visors with vanity mirrors, alloy wheels, power locks and windows, remote locking and unlocking, a leather-wrapped steering wheel, heated power mirrors, air conditioning, and an alarm. The Unlimited exclusive Moan trim comes with an 8.4-inch Uconnect system, a full-time 4WD system, LED exterior lighting, rear parking sensors, unique black wheels, a limited-slip differential, premium leather upholstery, mud-terrain tires, and blind-spot monitoring. No matter why you are looking at the 2019 Jeep Wrangler, this is an SUV that can truly do it all. From off-roading to a daily commuter, the Wrangler is the pinnacle of what it means to be an SUV. 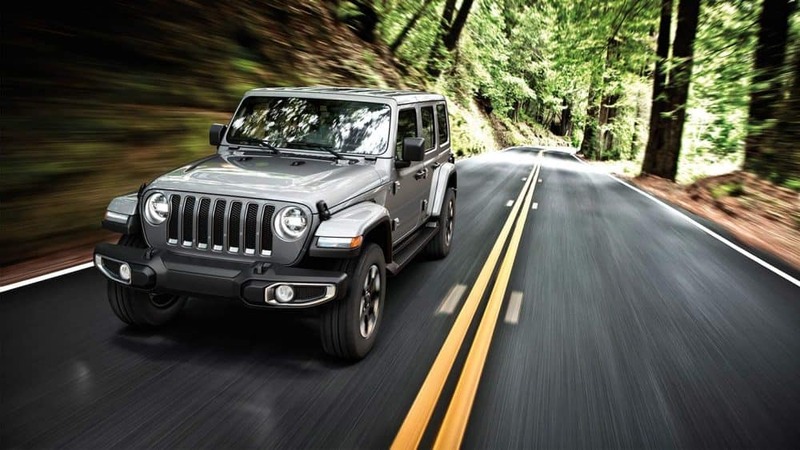 For more information, you can check out our latest inventory to see what models we have in stock, or you can simply give us a call and schedule a test drive in a 2019 Wrangler today!